Hi everyone! I have been hit by a mac truck. Well that is what I feel like anyway! Somehow, I guess 2009 was just not enough of me being sick with h1n1 and viral meningitis and 2010 needed to give me a cold….yes, in the SPRING! How annoying. I have been super tired lately, but last night I really wanted to get a little crafting time in. I made this cute card. 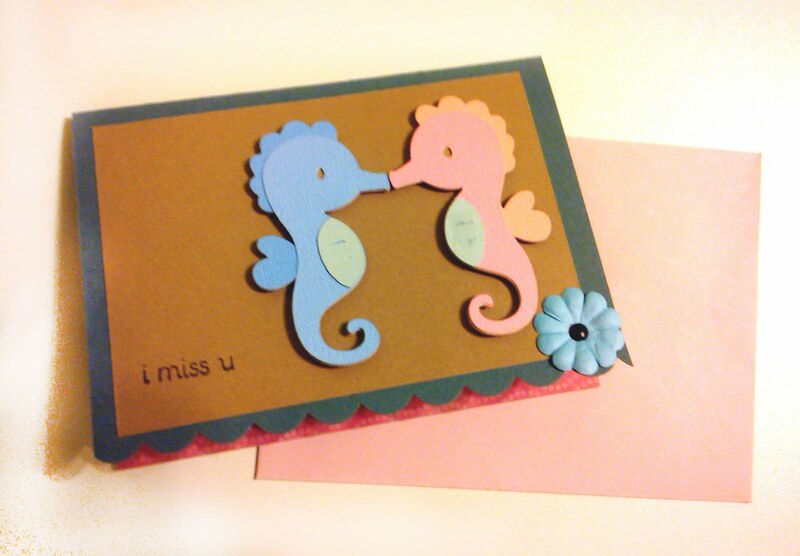 I have no idea who I would send it to, but I loved the sea horses. Someday I will take Create a Critter out of my Cricut and move on, but for now, it’s my absolute favorite and it’s staying put!!! Peachy Keen Stamps January Release Blog Hop!